A perfectly seasoned cast iron pan. Oooo - A thing of beauty and wonder! A cast iron skillet is one of the most versatile tools you can have in the kitchen. If taken care of properly, it will last a lot longer than you will. And unlike you or me, it will achieve a nearly perfect non-stick surface. Want the crispiest fried chicken ever? A gorgeous crackly crust on cornbread? Even temperatures for deep frying? 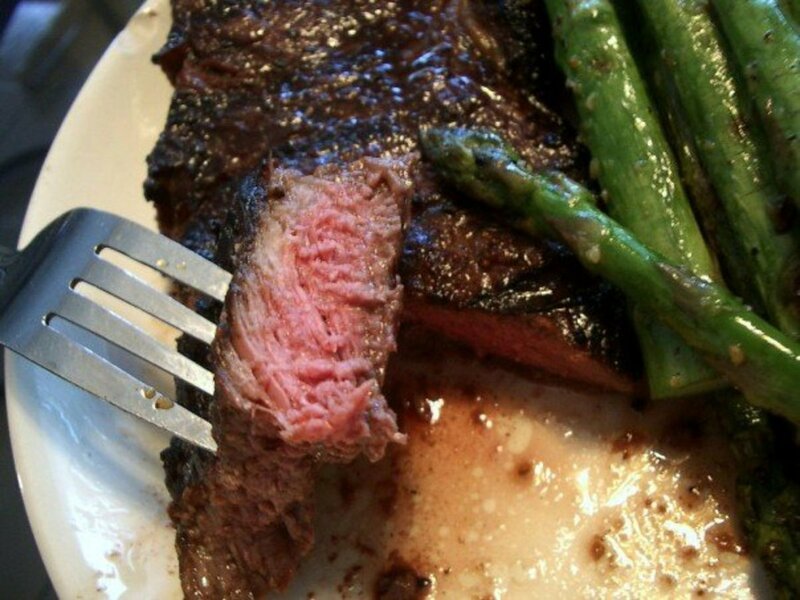 The perfect crust on a steak? Cast iron is your friend. There are some rules, though. Cast iron doesn't like three things: high-acid foods (like citrus or vinegar), soap, and water. Keep these things in mind and you'll have some of the best cookware in the world. Don't cook high-acid foods in cast iron. Chicken piccata is best done in something else. You can use small amounts of acids like wine or orange juice, but keep it small. You have to wash it by hand: Never put cast iron in the dishwasher! To clean it, you can use soap if you must, but mostly you'll just use hot water and a sponge. Use a stiff brush to remove stuck-on bits. Instead of soap, you can simply rub it with a couple tablespoons of salt. Rinse it well and dry it immediately and thoroughly. Remember: Water will rust your cast iron! On occasion, especially if you either rarely use it or if you use it a lot, rub the interior with a thin film of oil, throw it in a oven at 350°F, and let it sit for an hour. This helps season the surface. That's it— give it a little care and it will give a lot back to you. After cleaning, some people heat the pan on the stovetop help it dry completely. While the water is evaporating, use a paper towel to smooth a tiny bit of olive oil all over the inner surface of the pan. This is how much cast iron hates water: I was interrupted, so I left the wet pan on the counter for about an hour to do something else. When I came back, the rust had already appeared. 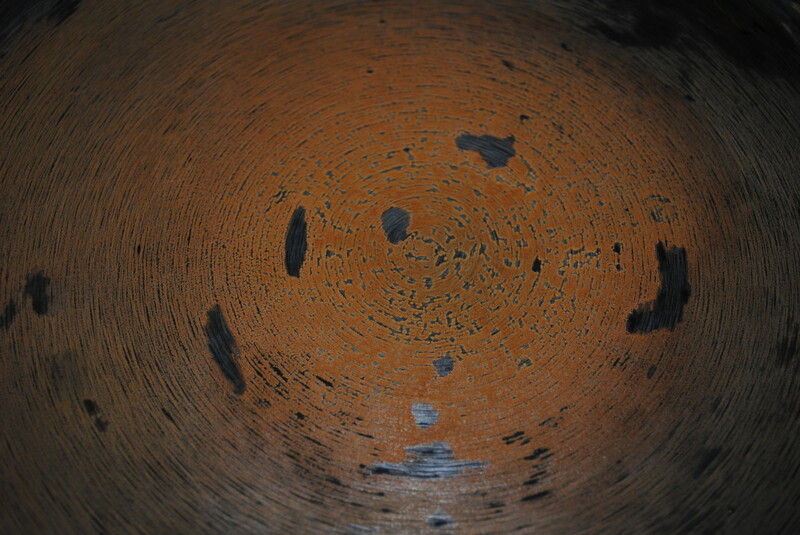 Sometimes, you have a skillet or other piece of cookware that wasn't cared for correctly. These rescue pieces can be hidden gold, but you have to know how to bring them back to their potential. I had one recently that was brought to me for medical attention. Here's how I nursed it back to glory. Note: You can do the same for a new skillet, you just will be removing the protective coating the manufacturer applies to protect a 'pre-seasoned' skillet from oxidizing if it comes into contact with moisture. The rescue skillet before triage. This is what an abused piece of cast iron looks like. 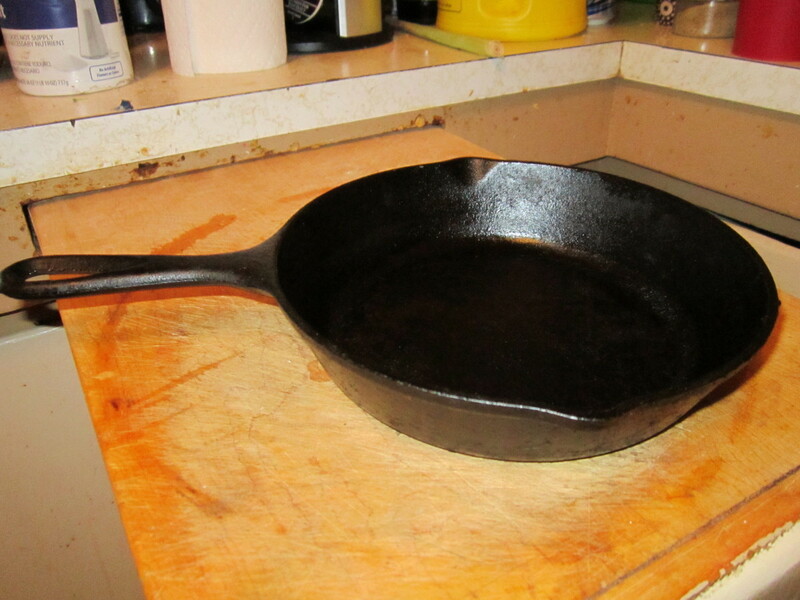 Rusty, and there were lots of places where the carbon seasoning had cracked and was actually flaking off the skillet. Since I didn't want carbon dust in my food, I had to do something. There's really only one good way to do this: Scrub it well, then break out the steel wool. 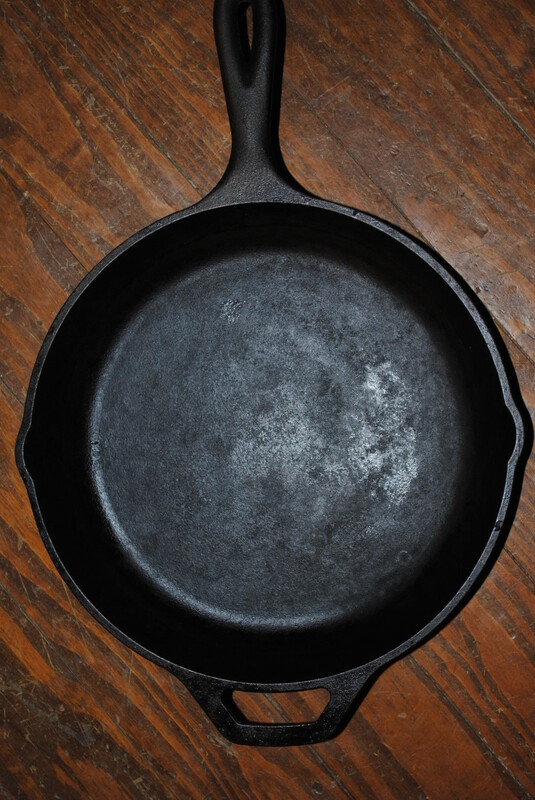 Normally, steel wool is the enemy of a cast iron skillet because it does so much damage to a seasoned surface. But that's what you want here: Scrub down to the shiny metal. Once you're down past all the rust and carbon gunk (yes, gunk is a technical term), you're ready to treat that old skillet in the same way you'd treat a new one. Preheat your oven to 350°F, break out some paper towels and a little vegetable oil, and you're ready to go. Coat the surface with the oil and bake the pan for an hour. 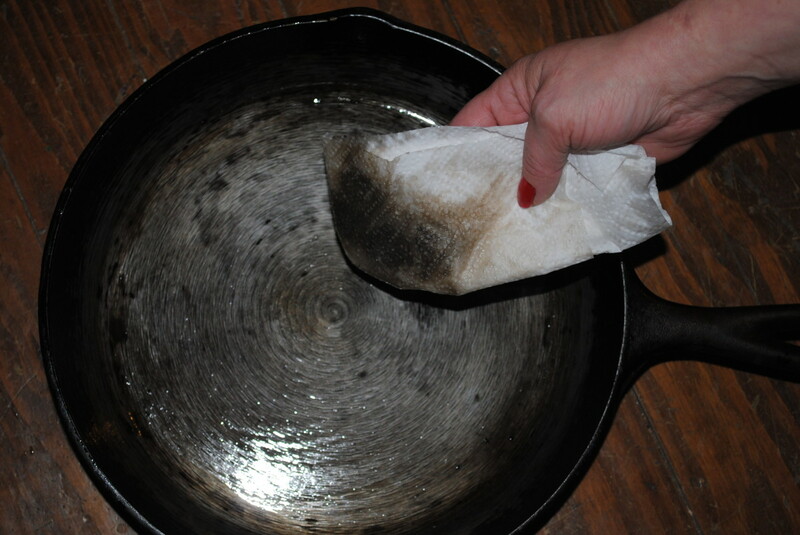 A super-clean, just-scrubbed skillet still releases a LOT of gunk. Keep wiping down with fresh oil and clean paper towels, and you'll get it REALLY clean. The only thing left on this towel is clean oil - the skillet is now truly clean. 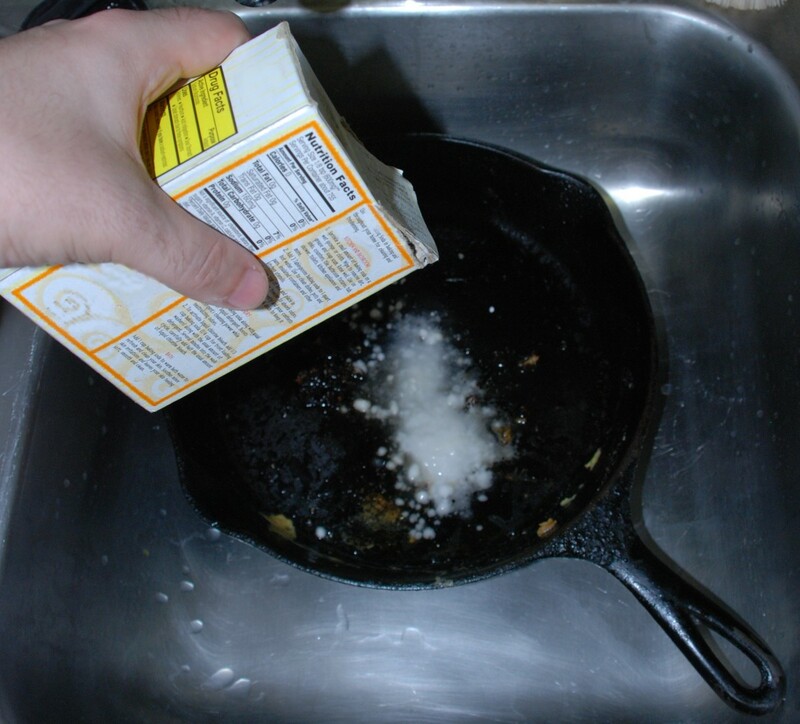 Pour a little vegetable oil into the skillet (vegetable oil sets a better, harder finish than animal fats) and rub it thoroughly around the interior. 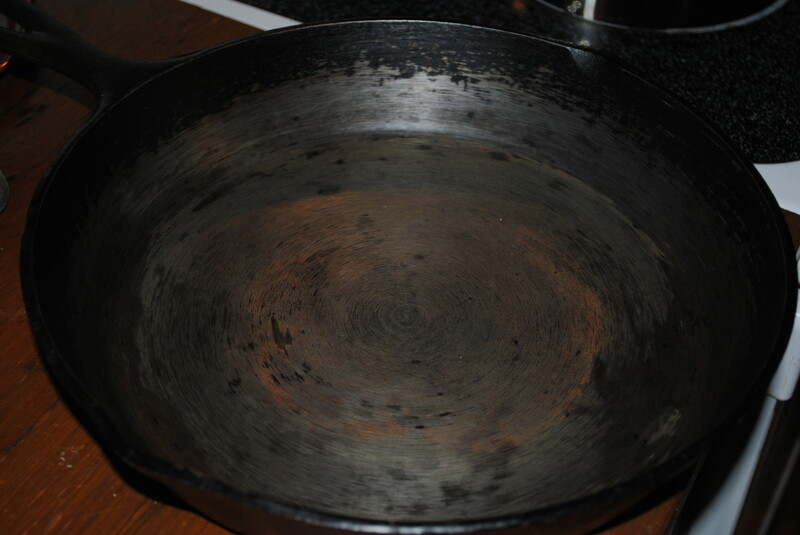 If your skillet came 'pre-seasoned,' there will be a protective coating applied by the manufacturer. You want to rub this off. 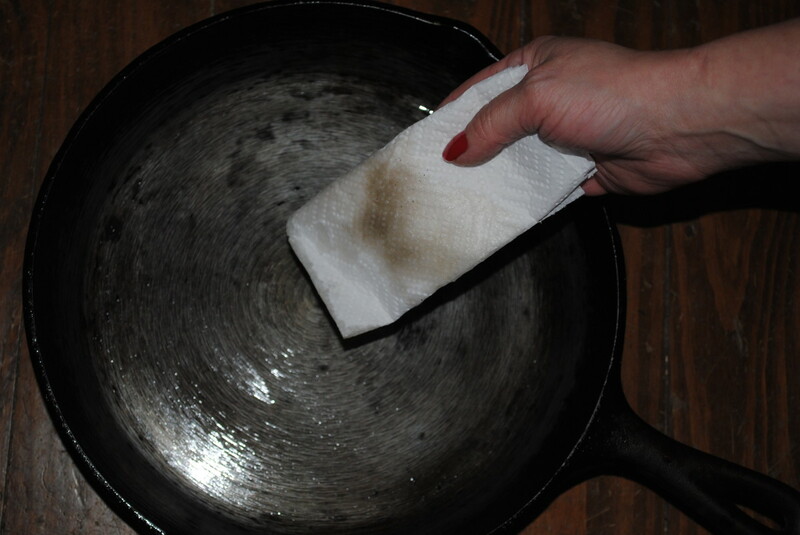 If you have an old skillet, the Lord only knows what all you're wiping off at this point. Continue reapplying oil as needed, and wiping down until you no longer see gunk on your towel. At this point your ready for the oven. Bake your skillet for an hour at 350°F. Remove it from the oven, and once it's cool enough to handle, repeat the oil-and-paper towel routine. If your towel comes away clean, you're done. 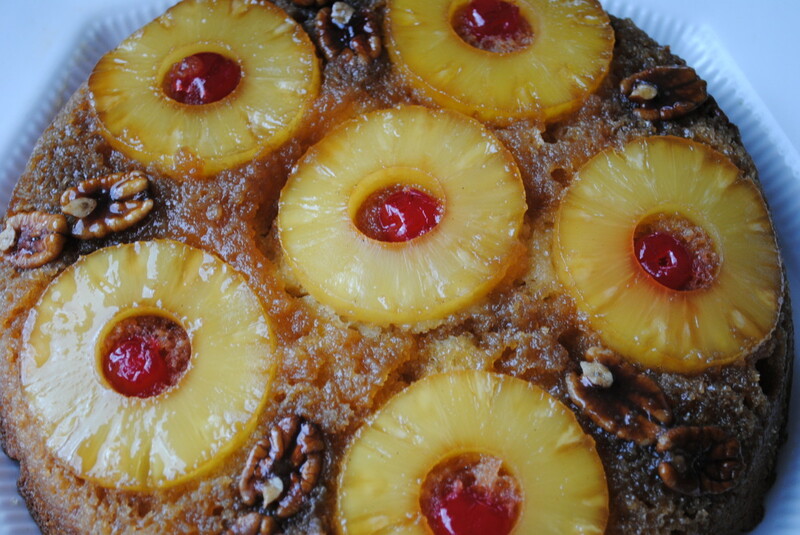 If you're still pulling off icky stuff, then repeat the bake and oil process until it is clean. Once the towel comes clean, you have a seasoned surface. The best way to preserve cast iron is to use it! If you're cleaning it properly and avoiding certain ingredients, the more you use it, the better and more non-stick the surface will get. It will eventually look gorgeous: shiny and black. You'll also fall in love and find you want to care for it. Nice how that happens. Such an interesting and knowledgeable article about the cast iron. I need to do to my cast iron skillet! Thanks for sharing. Read Lena's comment below; she’s correct. Get yourself a stainless steel pad, the heavier the gauge the better. My regimen: I cook, transfer the contents to a dish, carry (use potholder) the skillet to the sink counter, empty excess oil, wipe clean in a circular motion with paper towels, then hang it up from a hook on my pan rack. Yes, it’s still piping hot but that’s fine. It remains seasoned because I don’t allow water to touch it. I use the ss pad if I overcook and something adheres to the surface. New Skillet here! Gonna season now, per instructions. Do I HAVE to scrub off the manufacterer’s “preseason” though? What happens if I don’t? I’d have figured my seasoning would only add to what’s already there. Interesting information. My father used to cook with cast iron. What an awesome heirloom! I use mine for exactly the same thing! I have a cast iron skillet that is over 100 years old ... my grandmother used it, my mother, and I have had it for 40 years. It makes the best cornbread! I have treated it as you said and it keeps working great. 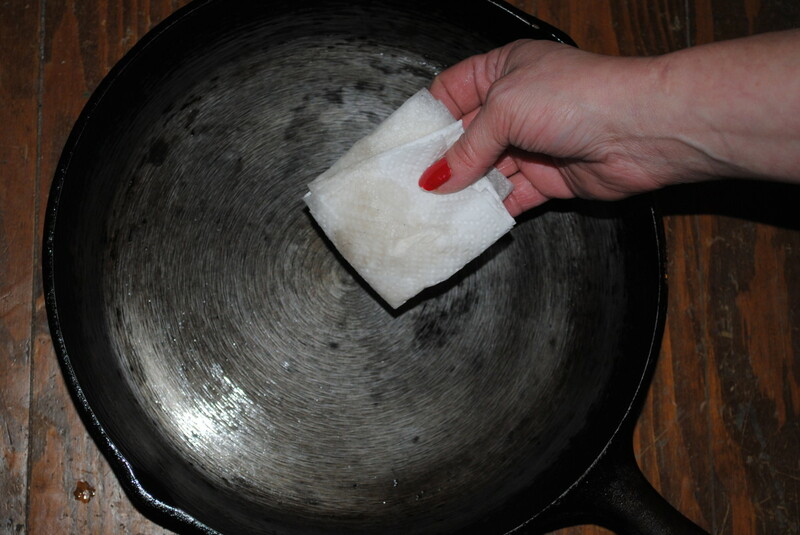 Personally, I shudder every time I hear about someone washing a cast iron pan with soap. I cook everything in cast iron, because it adds iron to your diet. If you've built up a good seasoning through years of regular use, high-acid ingredients are just fine; in fact, they ensure more iron is transferred into your food. Of course, I also regularly cook in the same pan with fats, which helps. And if I'm ever worried, I just give it a good rub with oil. I dug my old cast iron pan out of the cabinet. Looked ok, no rust, but needed seasoning. I rubbed vegetable oil in the pan, then into the oven at 350 for 1 hour. When I took it out, the oil feels sticky and I can see revilets of oil on the inside, what did I do wrong? Too much oil? A few years ago. I bought at a thrift shop a old cast iron kettle, that has a handle, that I want to bake bread in. It also came with the lid. It looks clean , shiny and smooth on the inside bottom. Out side looks like dark cast iron. Is that what the inside should look like? , does any one think something nasty was used inside, which makes it unhealthy to use this??? I have two very old cast iron small pans that I have not had any luck using to cook even eggs in! I have seasoned those also. What could I be doing wrong, that makes me NOT like using these two skillets ? With all of the scary info out there about non stick pans, I always use my cast iron skillet! I looove them. Nothing browns meat quite like a cast iron. I have bought several at flea markets, including corn bread ones. The only thing I don't like is how heavy they are to lift out of the oven!! I'm so glad! Give it a try - you'll fall in love with cast iron. It's so easy to use once you know the tricks, and works as well or better than most 'high end' cookware! I've always been very intimidated by cast iron cooking materials, just because I had this idea that they take so much work to clean, etc. But this article is certainly eye-opening, and I'm going to reconsider making a purchase! Good point J.S.! I tend to use a very thin film of oil, so I haven't had one drip in a while, but you're right! I love my cast iron - I inherited some awesome old pieces - my pride and joy is a 150+ corn stick pan that was my 4th great grandmother's. No kidding. And yes - Lodge rocks! As a Tennessean I take great pride in it! It's my favorite too! Well, Dixie, you've hit a soft-spot here! I am an avid user of Cast Iron. My first exposure to it was in the Boy Scouts as a child. I never really grew up with Cast Iron in the home but once I moved into my own place, I began to purchase "raw" (unseasoned)Cast Iron Cooking Supplies; I prefer the "Lodge" brand as it is made in the USA. I've got quite a collection now and I have most of all the sizes and styles of pans, minus the "fancy" ones. I have a great Grill Press, Dutch Ovens, Frying Pans of various sizes, and other things. 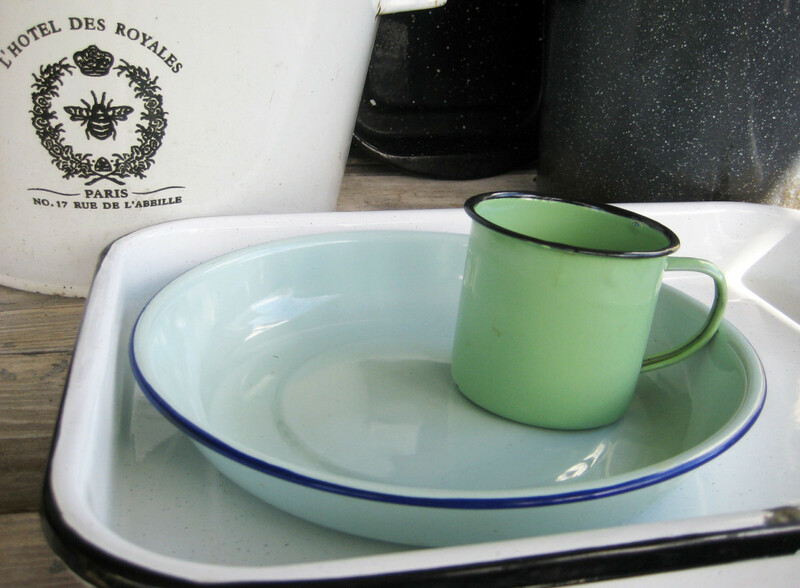 I have a couple of pans in the basement that need to be seriously repaired...maybe this summer? Anyway, great Hub! 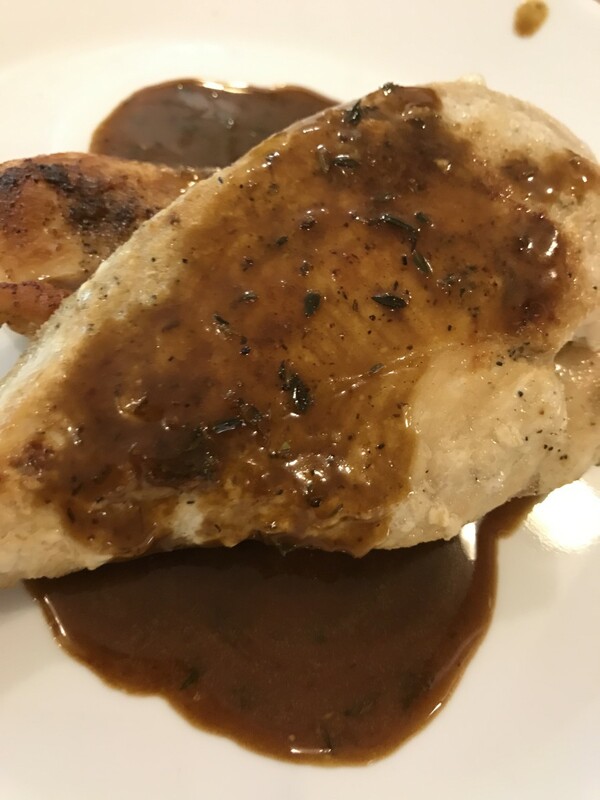 One thing that I would like to add, is that when you are seasoning the pans in the oven, it is a good thing to turn the pans upside down and put Aluminum Foil on the bottom of the oven to catch the drippings. This can be smokey & smelly, so proper ventilation is necessary! I've heard that - just haven't tried it. It's a good idea - I personally HATE touching steel wool - and it will kill a manicure. LOL! I usually bribe someone with baked goods to do that part for me, cause steel wool will poke right through rubber gloves. Very good advice but if you do not want use steel wool, you can toss the iron piece into a a wood fire and roast the piece well. This will burn off all of the gunk and when taken out of the fire the clean up is much easier. Then it is time to season. Got this from my 94 year old grandfather.